Lifecell Review - Does it Really Make Wrinkles Vanish? Lifecell Review – Does it Really Make Wrinkles Vanish? 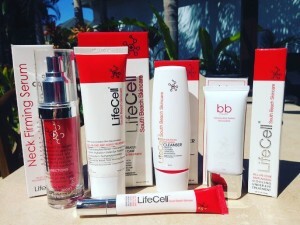 Lifecell is like having 6 products in 1! This is my personal Lifecell review of using the Lifecell Anti-aging Treatment, a skin care line I’ve used for years! Hello beauties! I am so excited to bring you my latest Lifecell review which has been one of my go-to anti-aging treatments over the past five years, it’s simply an amazing product! Lifecell diminishes the fine lines and wrinkles around my eyes, forehead, lips, and drastically reduces dark spots (hyper-pigmentation) to give me smoother and softer complexion. It’s creamy, lightweight formula is fragrance free, hypo-allergenic, and very soothing to sensitive skin, and fills in those wrinkles like nobody’s business! 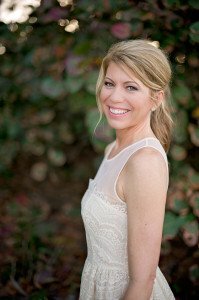 It works so well, that my sister (a pro makeup artist), uses Lifecell on her brides and models to get them photo-fabulous ready! We’re talking FLAWLESS FINISH! The most immediate result of Lifecell is how it fills in the deeper lines and wrinkles on your face making them far less noticeable, instantly! When your wrinkles are “filled up” with Lifecell, it removes the deep shadow of the wrinkle, causing them to be much less noticeable on the face. Lifecell plumps and moisturizes your face by increasing collagen and elastin production to create a supple, youthful, and less “wrinkly” appearance. Applying Lifecell to the face, neck and chest works quickly to smooth out wrinkles and also reduce any dark spots you might have in that area, and it also works great to firm and lift the neck! Lifecell has a creamy, non-scented formula soothing to the eyes. Lifecell is also an Eye Treatment and it’s gentle enough that I can use it on my entire eye area, lids and all. I use it underneath my eyes and it fills in those annoying fine lines and wrinkles, reduces puffiness, and diminishes those dreaded dark circles. My eyes happen to be very sensitive, and sometimes even products specifically suited for the eye area cause my eyelids to sting or get puffy – not a good look when you’re trying to look younger! Lifecell does not cause any stinging or burning, is very gentle on the eyes and works great as an eye shadow primer. It works fast to perk up the whole eye area and smooth out the wrinkles so you can apply your makeup and look flawless! I wanted to emphasize in this Lifecell review what a multi-purpose anti-aging treatment this is. Literally this one cream does it all, it’s like having 7 products in one! 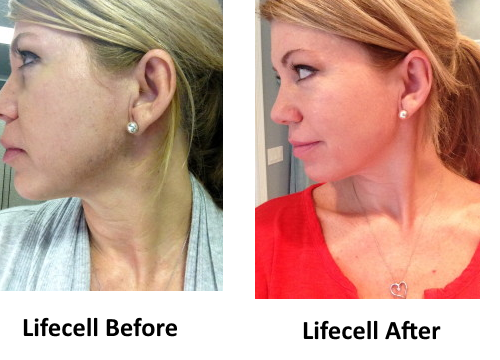 Lifecell drastically reduced the hyper-pigmentation along my jaw line to the point of almost disappearing. Being raised in Florida, and at the beach just about every weekend playing volleyball, I’m no stranger to the sun. Unfortunately, UV damage is the main culprit for aging, dark spots and freckles, which is what happened to me. Over the years, the hyper-pigmentation along my jaw line became darker each year and it was a huge source of insecurity when it came to my face, and nothing will make those pesky dark spots pop more quickly than a day out in the sun. I’ve tried glycolic peels, retinoids, alpha-hydroxy, hydroquinone and many other products promising results but nothing seemed to work, and those ingredients were highly irritating to my skin. Lifecell Anti-Aging Treatment reduced my dark spots within a few weeks, and after a full three months, I could barely see them anymore. You must wear SPF to maintain your results which is true for any skin lightening treatment and you should anyway to block those damaging rays! I always wear a minimum of SPF 30 on a daily basis over Lifecell, and SPF 50 or higher when I am in the sun, and I encourage you to do the same. Nothing, aside from smoking, is more damaging to your skin than the sun. This is the best treatment I can recommend for lines around the mouth from smoking. Other factors including hormones, medications, and acne scarring can also cause hyper-pigmentation. However, it doesn’t matter what the cause of the brown spots are, the treatment is the same – to halt melanin production in its tracks. You can’t buy at a drug store or department store. So here’s my geek moment about the Nobel Prize-winning science behind how Lifecell works on a cellular level to boost collagen and elastin production. I can’t leave this part out of my Lifecell review! Nitric Oxide dilates your capillaries to increase blood flow circulation giving your skin an instant youthful “boost,” but you can’t put nitric oxide directly onto your skin because it’s a gas, so it needs a messenger. That messenger must be topically administered to your skin through Dithiolane-3-Pentanoic Acid (D3PA) – a naturally occurring compound produced in your body which decreases with age. Lifecell has a high concentration of D3PA which produces an environment for which the nitric oxide can do it’s magic. This little miracle, i.e. nitric oxide, was discovered in 1998 by three Nobel Prize winning scientists and is exactly one of the reasons why Lifecell is uniquely formulated. Hooray for bloodflow! Lifecell also contains DMAE (dimethylaminoethanol), also known as “the facelift in a jar.” This powerful substance is known to prevent aging, liver spots and firms loose and sagging skin. DMAE is one of the most potent ingredients in Lifecell which creates that immediate tightening effect on your face to lift and firm sagging skin. Lifecell also contains moisturizing and soothing agents from natural sources such as oat kernel extract, shea butter, and hyaluronic acid which plump the skin full of moisture without feeling greasy. I have combination skin and I don’t like heavy moisturizers that don’t absorb and feel like they’re sitting on top of your skin like a film. 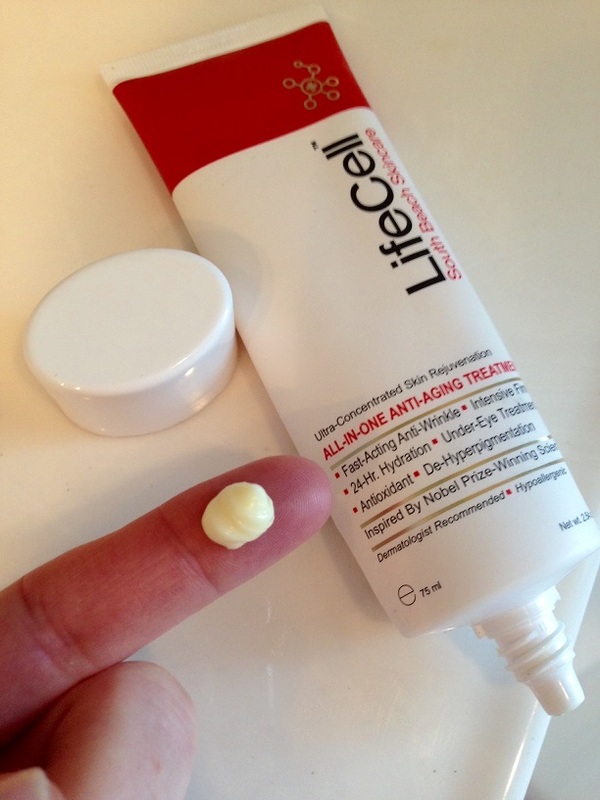 Lifecell has a lightweight, creamy texture. To recap my Lifecell review, I want to mention that I’ve used high end products for over 15 years. I have never skimped on good skin care! Lifecell Anti-Aging Treatment has proven itself to be one of my all time favorites based on my results and how gentle it is on my skin. It makes me look and feel younger by instantly smoothing my face of wrinkles, I love the wrinkle filling effect! Even with no makeup, my skin looks flawless, which I love for before bedtime when my husband sees me with no makeup on! He always tell me how young I look for 46, and most people guess my age to be early 30’s! Lifecell is the only trial product I recommend because it is 30 days and they’ve been around for almost a decade. This is quality skincare and a reputable company! The best place to enroll in the Lifecell membership is directly from the manufacturer’s official website to ensure the freshness, and the money back guarantee. They ship worldwide! Purchases made on Amazon or E-bay etc. will not come with this return policy. 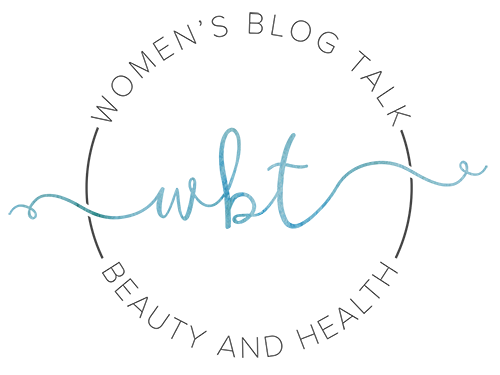 Shipments can be sent both in and outside of the US directly from their lab in Miami. READ the terms and conditions that they post on the Lifecell website . I am giving you ALL the facts, ma’am! 😉 I believe in FULL DISCLOSURE. But this is an amazing product so I had to share! 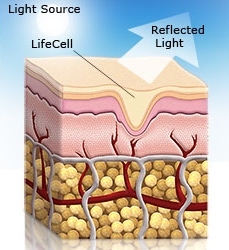 I get emails daily from women asking me what my BEST recommendation is for wrinkles, and Lifecell is my top choice! I hope you enjoyed my Lifecell review! 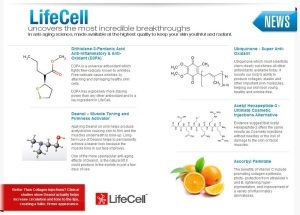 Have you used Lifecell? Leave your comments or Lifecell Review below! I saw some ads on Facebook so decided to see what the hype was about, but a bit skeptical since.. well Facebook ads can be hit or miss. I signed up for the free trial and got my product about 4 days later. Wow, this stuff works! It did a good job at smoothing my wrinkles and crows feet, even with no makeup I felt much happier about my complexion. The following shipment I got their anti-aging face wash for free which I wasn't expecting. It's very gentle and leaves my skin soft. I'm very pleased with these products! A bit pricey, but worth it since it lasts a long time and a little goes a long way. It Works as it Says! My daughter in law purchased Lifecell for me last year and I swear I was hoarding it for special occasions because it works so well! It gives me an instantly smoother face with less wrinkles (I'm 65). She convinced me to use it daily and not treat it like 24 kt gold and I'm really loving my results! Great for mature skin, and this is coming from someone who's had way too much sun in her life! I'm pleased with Lifecell. It fills in my lines and wrinkles making my face look smoother. Even though yes it does wash off, applying makeup is much easier using this product. I used to use a separate product for "wrinkle filling." This is anti aging at its finest as well as being a filler. I do feel younger and I've used it for several months. Happy, happy. I use the ph balanced face wash, anti aging treatment and eye cream daily and have for two years. My skin has improved. My wrinkles are less noticeable, and my redness and dryness have gone away. I am a happy customer. The neck firming cream also helps with crepey skin and lifts and firms my neck. I am receiving these products every 60 days. I am impressed with how they are working for me. I do have deeper wrinkles around my eyes and the Lifecell does a good job at smoothing them out. I received the Neck Firming treatment and have been using it on my neck and chest. It firms up the "turkey neck" for lack of a better term. The face wash is gentle and I can use to remove eye makeup. I enjoy the free gifts that they send with the membership. I am a happy customer so I wanted to share my experience. Thank you. Hi Rachel... 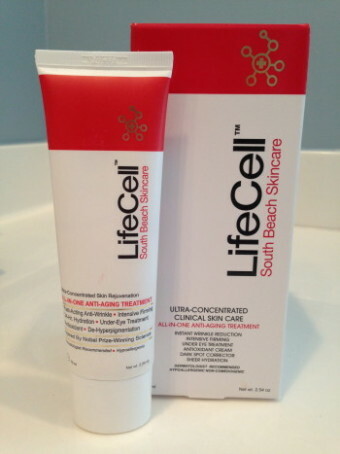 I'm almost 70 years old and have been using LifeCell for about 18 months now, my skin looks amazing, so many compliments... This skin care line is fabulous and worth every cent, so glad to see it's your #1 pick. I also like the fact South Beach Skincare has no problem with customizing orders to suit the requirement of the client and not the other way around. 4.9 5.0 7 7 I saw some ads on Facebook so decided to see what the hype was about, but a bit skeptical since.. well Facebook ads can be hit or miss. I signed up for the free trial and got my pr Lifecell Review – Does it Really Make Wrinkles Vanish? A: Hi Deborah, Lifecell works great on deeper wrinkles because it also acts as a filler. So the more shallow the wrinkle is, it will show less of a shadow which is what makes the wrinkle appear. I want to explain in detail why the Lifecell trial shouldn't be compared to these short term wrinkle cream scams because I do get asked this question a lot. Lifecell is offered as a 30 day trial, and I could count on one hand the creams that actually offer a legitimate, 30 day trial - there are very few of them. However there are HUNDREDS of these 12 day wrinkle cream scams (such as Tru Belleza - just read their terms and conditions). I've been recommending Lifecell for almost 5 years, long before all these short-term free trial scams started popping up everywhere on the internet using Dr. Oz and other celebrities for their misleading advertising. South Beach Skincare is a reputable manufacturer that has been around for almost a decade. They have quality skin care and their product is amazing! You have 30 days (not 12 days) to try Lifecell. If you are unhappy at any time during that 30 days, you can call Lifecell 24 hours a day, and be answered by a friendly customer service rep right here in the U.S.A. Lifecell also comes with a 120 day money back guarantee (that's four months to try it risk free for a full refund if you're not happy). If you decide you love the cream, you'll be sent the product every two months and the price drops to $149, plus you'll be sent a ton of free skin care with every VIP shipment (face wash, BB cream, cooling eye treatment, neck firming cream and/or body butter). I've been a Lifecell VIP member for years now and I absolutely love their products and getting my package every two months. I feel that a 30 day trial (with a reputable company) gives you plenty of time to try the product to see if you actually like it. And when you need customer service, they are available. Not like these scam companies that give bad phone numbers, have no refund policy, have poor quality ingredients (who knows what's even in them because they don't publish their ingredients), and keep changing the name of their products and flipping the links because ultimately they are just scam artists. I am 61, smooth skin, no wrinkles, mostly concerned with “gravity” (I’d love a mini-lift) and neck crepiness. Also I’ve always had dark under eye circles. Recently started using Alpha SkinCare line. Like it but at this point, feel I need stronger retinol. Would love to try Lifecell but just can’t afford it. Do you have a recommendation for a less pricey product that would be better than Alpha? I am 60 yrs. old and I noticed that my face and my neck starts sagging. Any recommendations? I ordered Lifecell more than 6 years ago. The reason I stopped is because being a filler, it will wash away. What I mean is…during the day my skin will look amazing, after washing reality set in…I was staring in the mirror at the old wrinkles. Do you have any knowledge if the manufacturer made any changes at all to the product since then? 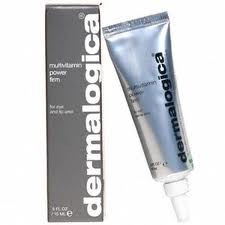 I have used it for 3 months to look fantastic in daytime and horrible at night when the magic dissapeared. Any comments regarding this issue, please? Just wondering will the first 2.0 bottle last for 60 days or will you run out before you get the 2nd shipment. I noticed that there are no prices for anything. Thanks for turning me onto this! This anti-wrinkle treatment has the nicest texture to it. 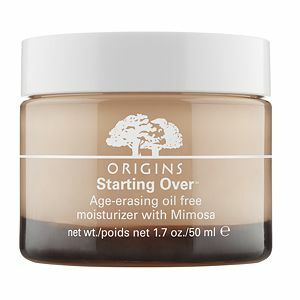 I have combo skin, and this is the least greasy anti-wrinkle product I’ve tried. I love you that you can use it around your eyes! I ordered 30 days free trial Lifecell cream in November 30. Could you tell me where I get the information of delivery? I know the order number. But I can’t find where I get the order information. 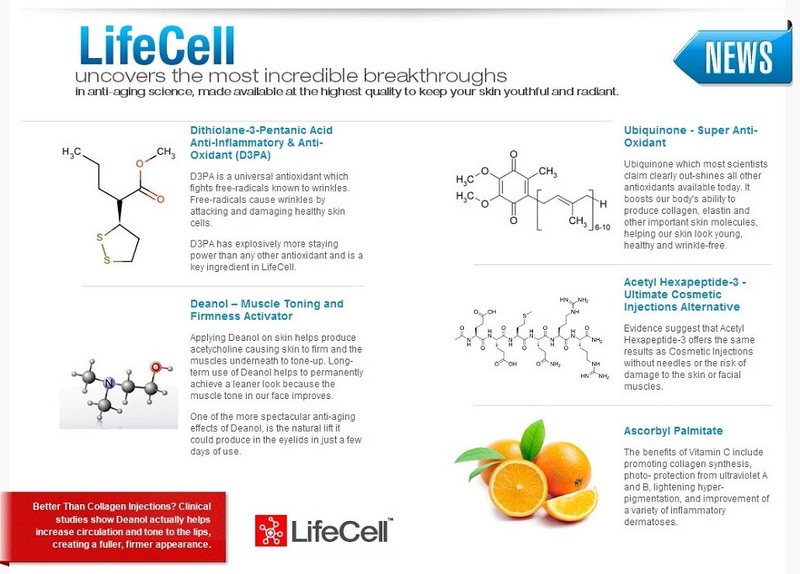 Hi Diana, thanks for your email, I’m so excited for you to try Lifecell! I hope you love it as much as I do. Unfortunately their offices are closed on the weekends. But here’s the contact information. I would try sending an email with your order number and see if they respond. Monday – Friday 9:00am to 5:00pm EST. I ordered 30 days free trial Lifecell cream today. I want to know what happens after 30 days trial. Do the seller take the money from my credit card? Yes, you have 30 days to try Lifecell for free. If you do nothing, on the 30th day they’ll charge you for the 2.0 oz full size bottle for $189. You’ll then automatically become a VIP member. 60 days later you’ll receive another shipment of the Lifecell but the price drops to $149 and you’ll receive a lot of other free skin care from their line with your first VIP shipment and every shipment thereafter. The ph Balanced face wash and the Cooling Under Eye treatment are awesome! You’ll usually get those two, and also the firming body butter (great for cellulite), or the neck firming cream, and the Beauty Balm spf 30 tinted moisturizer and usually another gift (you’ll be surprised how much stuff they send you). However, if you’re not satisfied in that first 30 days, you can call and cancel and they won’t charge you at all except for the initial shipping which I think is $4.95 and you’ll have to return the unused portion. Give it a chance, I really think you’ll love it! Let me know how you like it. Thanks so much. Your blog is paying off already. Hi Rachel. So if I’m understanding this, you are not related with this product in anyway but you like it so you wrote the review? This is your site and you review other products as well? Why do you do it? Hi Gloria, I’m a skin care blogger, I do it because I love to try new products and write about them. I will try anything I can get my hands on! 🙂 I wouldn’t represent Lifecell if I wasn’t a 100% satisfied customer. I signed up for their trial years ago and love their skin care line! I’ve been a VIP member for quite some time! Thx for your reply. You mention a SPf 50 compact that “sticks to my skin.” Can you tell me which one that is. I have very oily skin and no foundation or compact stays on me fore more than a few hours. I did finally found one CC cream that does stay on longer than what I’ve tried in the past but not really convenient to reply throughout the day. Please share. Gloria, it’s called Avene High Protection Tinted Contact SPF 50. You can find it online at Dermstore and it’s $34. I get the Honey shade, but they also have a lighter one in Beige. I put it on really thick for volleyball but if you wanted to use daily you could apply lighter. Antonia, thanks for your comment! Lifecell is sold as a trial, but it’s a great company and they honor their cancellation policy and returns (they are the ONLY trial product that I actually recommend). And if you don’t want to receive it monthly, you can have them send every 60 days, or every 90 days. This is what I do (60 days), since one tube lasts just about two months anyway. And they always send a TON of free stuff with every shipment. My last three shipments have included anti-aging face wash, firming neck cream, spf tinted moisturizer, firming body butter (good for cellulite), and once I also got a cute little tote bag. I highly recommend Lifecell, great product and great company. And it does not clog pores so it shouldn’t cause you any breakouts, it’s very non-greasy. i have a sensitive skin, what will i use as sunscreen when using Lifecell or Kollagen for fine lines. Hi Meg, thanks for your question. My favorite sunscreen for my face is Obagi’s Sun Shield in Matte. It’s 50 spf and is not sticky or greasy at all, has no smell, and doesn’t feel like a sunscreen. Wear it over your Lifecell or Kollagen Intensiv. I have used a ton of facial sunscreens and many of them sting or burn, or just feel gross. I have been using this for about a year and LOVE it! You can order from Amazon for about $25. It lasts a long time if you’re just using it on your face, neck and chest (I always cover those areas). Good luck! I’m ordering Lifecell today and am excited to see results! I also live in Florida and have spent a lot of money on facial sunscreen. What brand sunscreen do you use on your face? I have tried so many and have not found one that does burn skin and eyes an feel heavy on my face. Hi Margie, thanks for you comment. When I’m going to be in the sun for prolonged periods of time (beach, or going on a long walk) I use Obagi Sun Shield SPF 50 (Matte), over my Lifecell and you can order it on Amazon for $25 I think. It’s wonderful and not greasy at all and really blocks the sun. Then I put spf 20 foundation over that just to cake it on. Just on an average day, I’ll just my Lifecell, then use the 20 SPF foundation over that so I always have a little sun protection. I have tried a ton of facial sunscreens and always had a problem with them being too greasy. The Obagi is not like that at all. I even use it on my arms and chest. For my body I use Coola spf 50 the mango scented one and I’ll use either the spray or the lotion – both are good. I don’t use the Obagi all over because it’s a bit expensive and I’d rather save it for use on my face. Let me know how you like the Lifecell. I hope you love it as much as I do! I’m 52 and have a few wrinkles, dark spots and dryness. I’d love to try life cell, but I have sensitive skin that breaks out with almost every moisturizer I’ve tried. The increased blood flow and capillary dilation concerns be too because I have rosacea. With that in mind do you think I should try it or not? Thank you in advance for you advice. Elisabeth, have you ever tried Skinception’s Rosacea Relief Serum? I love Skinception’s line of products and while I don’t have rosacea, I used it just to complete my review of the product and found it to be a very nice moisturizer and I like how light the serum is. You could always used Lifecell on top of it to get the benefits of the smoothing and filling of the wrinkles, but I would just try the rosacea cream first and see how it works for you. I would highly recommend trying this product. Good luck and thanks so much for the comment. I just ordered Lifecell. I would like to continue using my DHC Olive Leaf moisturizer. Can I use both together? Pat, yes it’s fine to use both. I would probably use the DHC underneath the Lifecell, let it absorb a couple of minutes before you apply. Sometimes, if I need a little more moisture I’ll use my Kollagen Intensiv underneath the Lifecell. Hope you love it! I have been using LifeCell for a number of years and I thought it was the best in that it reduced wrinkles around the eyes, and those unsightly nasal to chin wrinkles. That’s the good news…now for a negative. I recently had to reorder the product because I was running low and, it simply does not work the way it used to. I stayed with it for a couple of weeks but finally gave-up and tossed it. ROC multi-correction w/retinol is working much better. 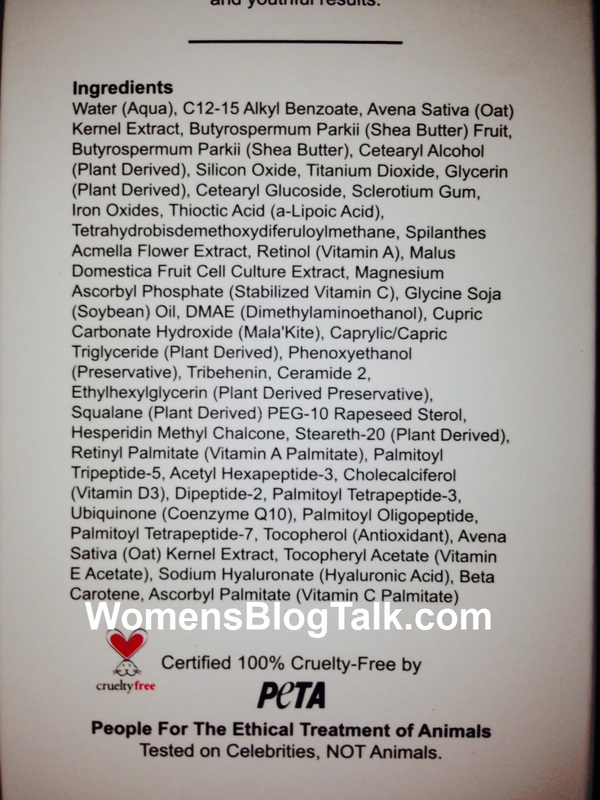 Are you able to tell us if the product formulation has been changed? Hi Rachel. I’m turning 40 this month and I have some brown spot issues but mostly I am plagued by under eye bags! I have tried a lot of things and I’m tired of wasting money. Any recommendations? 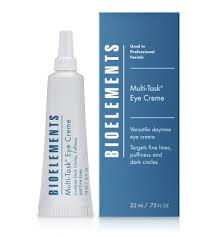 Cari, I highly recommend my #1 eye treatment, Elite Serum, for your eye bags. It works really quickly to reduce puffiness! Check out my review, I do have some pictures of myself showing how it reduced my puffy eyes. It also reduces the depth of wrinkles around your eye area. You can use it underneath and right on your eyelids, it doesn’t sting or burn, it’s like putting on cool water. It’s full of anti-aging peptides, it’s really good stuff and I haven’t found anything that compares in Sephora. Thanks for your question. Thanks Rachel!!!! I’m going to give it a try. I have tried LifeCell. I liked the all in one. But I didn’t feel that it gave me enough moisture to my face, and I don’t have dry skin. Maybe I used it wrong. I also didn’t realize that I could use it under my eyes. Id like to try it again, because I did buy it off amazon, so maybe it was too old. I don’t know. It just didn’t seem to moisturize. It looked like it made my few wrinkles stand out more. Hi Stephanie, I would recommend Kollagen Intensiv for you which is my #2 anti-aging cream – it’s wonderful! It’s more moisturizing than Lifecell. It works to boost your own collagen production and really plumps up wrinkles, reduces redness and evens out your complexion. Sometimes, however, I’ll use Lifecell underneath my eyes and on my forehead over the Kollagen to disguise the wrinkles better. Also, are you using a toner prior to applying your moisturizer? That’s a really important step that is often overlooked. It will help bring your face to the correct ph balance and also allow your anti-aging treatment to penetrate more deeply which will make it much more effective. Let me know if you have questions. Also, don’t forget to drink lots of water! Proper hydration is so important for your skin. do you recommend a certain toner? Skinception’s AHA Toner is a top choice of mine. Check out my review of it here. Is there a product that can be purchased in a store that is effective. I do not wish to get tangled in any web scams. Thanks. Gail, what is your skin type and what is your main concern/issue? I’ll try to recommend something for you. I’ve used many products that you can buy at Sephora but they are not cheap by any means. I just ordered my first tube of LifeCell and just want to clarify one thing. In one spot you said you apply your SPF sunscreen over the LifeCell but in another you say you apply it under it. Which should I be doing? Thank you very much for clarifying this for me. Sorry if I was confusing. As a general rule, I will apply an SPF 30 over Lifecell as you want the Lifecell to penetrate deeper for the anti-aging benefits and especially if I’m trying to lighten my skin. I admit sometimes I get slack – if I know I’ll just be sitting in my office all day or not leaving the house, I just apply Lifecell and my foundation has an spf of 15 so that’s a decent amount of protection. If you know you’re going to be outside (beach, festival etc) wear spf 50 over your Lifecell. Good luck and let me know how you like it! I just got a fresh tube after being out of it for a while and it’s sooooo nice. Hi Rachel. Thank you so much for your reply to my question. I will follow your directions regarding my sunscreen! I can’t wait to receive my LifeCell and I will definitely let you know how I like it. I feel Life cell is garbage, I don’t feel it works . dermagist complete to me was a much better product I’ve used it for 2 years. great product. Sheila, how long did you give the Lifecell a try? I definitely would not classify it as garbage. It’s really helped my skin keep a youthful appearance and get rid of the dark spots. Nothing works overnight, however. Thanks for your comment. Recommended on Dr. Oz Show have you tried or know about Dermagist Complete Rejuvenation System? Iris, I do have a review specifically comparing Dermagist to Lifecell, I prefer Lifecell. Let me know if you have questions. I’m 54 years young and have pretty good skin, ( though I do have some hyperpigmentation that I’d like to deal with), but my main concern is my neck…I’d heard of people having ‘chicken skin’ on their necks and never really knew what that meant until mine started looking like that! Not smooth, reddish, and just not attractive. I didn’t read where this product would help that particular problem. Any thoughts? Thank you! Amy, do you have the chicken skin “bumps” to go along with the redness? True “chicken skin” is called keratosis pilaris which can be hereditary. 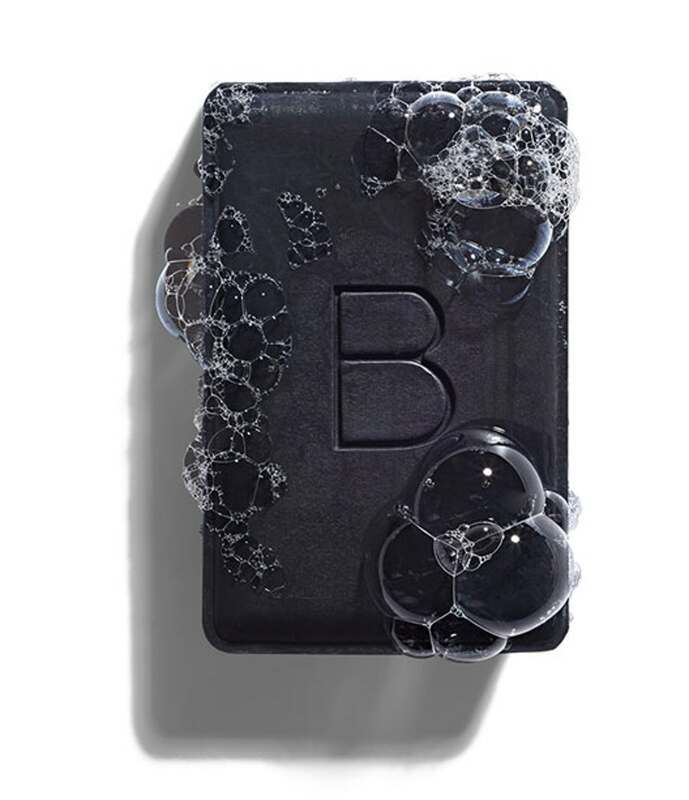 It can be treated with glycolics or AHA’s (Alpha Hydroxy Acid) to help along the exfoliation process to smooth out the bumps (it speeds up the skin’s natural 28 day cycle of exfoliation bringing fresh, healthy cells to the surface). If I were you I would use an exfoliator, then an AHA toner, and then a cream. You will be on your way to smoother skin quickly! You can read my reviews on the following products and give them a try. I use all of these on a regular basis and really like them. None of them are harsh and won’t leave you stinging or burning. 1) Skinception Microderm Facial Exfoliator (you can use on your face, neck and chest). Rachel, I also have a lot of dark spots on my face and I’ve tried glycolic treatments and they don’t seem to help. I know you said you’ve been using Lifecell for two years, but how long did it really take to get those results in your picture? Big difference. Thanks. AmyB, thanks for your question. While I have used Lifecell for over two years, it definitely didn’t take that long to see results!! I would say I started to see a real difference in my hyper-pigmentation after 6-8 weeks and it only improved from there. At that time, I also became very diligent in wearing a daily sunscreen underneath the Lifecell of an spf 30. Once the Lifecell starts working and lightening up those spots, you definitely don’t want the sun to bring them right back. Hope this helps! I’m very intrigued by this product! Do you think it would be safe to use this close to the wedding? Did you have any odd reactions to it? Hi Kim, thanks for your comment. Lifecell is odorless and very soothing and it’s great for sensitive skin for this reason. I’ve never had any odd reactions to it, and I’ve been using it for over 2 years with great results. It would be fine to try before you wedding, I wouldn’t anticipate anyone having a bad reaction to Lifecell. Let me know if you have any more questions. I know it’s a little pricey, but there is nothing quite like it. If you have any questions about Lifecell, feel free to Contact Me.